The Permanent Representative of Greece to the United Nations, Ambassador Adamantios Vassilakis, born in the island of Chios was the recipient of the 29th Homeric Award of the Chian Federation. The award was presented to him during a dinner dance held on Friday, at the Chian Cultural Center, in the presence of many community leaders and some of the his UN colleagues from various countries. “Ambassador Vassilakis has faithfully and respectfully served his country and he deserves the award”, said NYU President Emeritus, John Brademas, the reciepient of the 2nd Homeric Award. Presenting Ambassador Vassilakis with the award, Chian Federation president George Almiroudis said “the federation honors Mr Vassilakis for his most valuable accomplishments for Greece in the diplomatic field and because he is a one of our own, a Chian who honors his birthplace”. Ambassador Vassilakis told the audience that the news he was the recipient of the 29th Homeric Award was a pleasant surprise that moved him deeply. 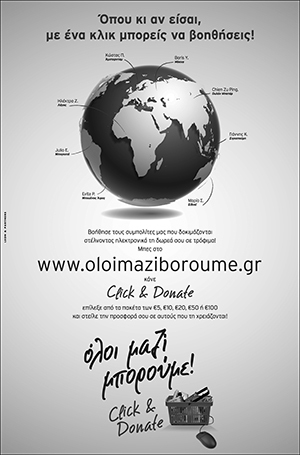 “Whatever touches and reinforces your roots is particularly important, not only because it adds pleasure, but because at the same time it gives you new strength to continue your activities, in favor of your homeland Chios and in the interest of Greece and Cyprus”. Vassilakis added that besides joy, the award brings additional obligations and assure everyone that he will continue to support our values and the well defined interests in favor of Hellenism throughout the world. Vassilakis said that during his 37 year old career he had the pleasure to defend the interests of Greece and he was able to see results in both the E.U and the U.N. As an example he mention his tenure in Brussels. “The question was, what a small country like Greece can do. Everything depended from you and your personal participation. You could not be interested by the narrow Greek interests. You had to participate for the broader improvement of the countries participating in the EU. Your countryʼs interests would be served accordingly”. Speaking of his tenure at the United Nations, he said the with a big effort, Greece has created a network of relations with all countries, small, medium and big, in every continent. “That was the only way to support and defend the issues of our interest and support them effectively”. In regard to Greeceʼs participation to the Security Council, he said it gave us a great opportunity to participate and contribute to many discussions on current issues, among others on Cyprus. “We acted without frictions and oppositions. I believe that is the why we have further improved the image of our country”. The best compliment he ever received at the UN, came from the Ambassador of Singapore, who told him “you put back Greece on the UN map”. Addressing the event, Austrian Permanent Representative, Ambassador Gerhard Pfanzelter, expressed his admiration for his colleague, especially for the way he handled the Iraqi crisis, was Greece was presiding over the EU. Reading from a note of Sir Emyr Jones Parry, the Ambassador of the United Kingdom, he said Vassilakis is our most popular colleague and he chaired twice the Security Council with great capability”. Presenting Ambassador Vassilakis to the audience, Cyprus Federation president, Peter Papanicolaou said the Republic of Cyprus and the Cypriot people will never forget what Vassilakis has done during the crucial period for the future of the island and its people, before and after the referendum. The President of the Republic of Cyprus, Tassos Papadopoulos, in his message, called Ambassador Vassilakis “a diamond in the Greek diplomatic service”, expressing his admiration and gratitude for his unique dedication to Hellenic causes and his hard work to keep alive the torch of our heritage in the United States”. He also expressed his warm appreciation “for his valuable work in promoting respect for human rights and supporting our efforts to bring justice to Cyprus, by ending the tragedy of forcible division and foreign occupation”. 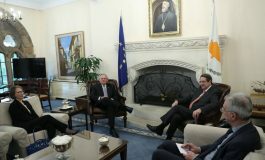 Messages were also sent by President Karolos Papoulias, Prime Minister Kostas Karamanlis, Archbishop Demetrios and many members of the US Congress. 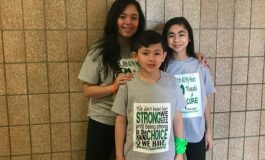 Citations were given to him by Congresswoman Carolyn Maloney, Assemblyman Michael Gianaris and City Council Members Tony Avella and Peter Vallone Jr. Previous article Stars Come Together To Serve Up A Sweet Treat!